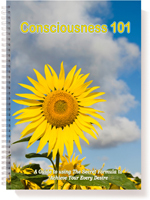 I am so happy you entered my conscious awareness! When that happened, I did a quick check for another possibility state to help you with whatever brought you to my site and although it may not be complete transformation, there should’ve been a subtle change in your experience. joyous, forgiving, accepting, and more? If you are not experiencing life in this way, it simply means you have interpreted experiences in your life to mean that you are limited in some way. You have blocked your true, unlimited potential by storing memories with a negative emotion attached to them that tells you to fear life! And unfortunately, it is such fears that attracts experiences to be afraid of. The truth is, there is nothing to fear! And when you clear the negative charge behind the memories, you access a powerful state that allows you to attract/create/manifest all that you wish for. My products and services are all about finding and healing the patterns that have contributed to the creation of what you don't want and helping you discover your true self and unique gifts and talents that will help you fulfill your purpose in this lifetime and manifest all that you wish for. That information exists in your energy field! It is not at all far away and as a clairvoyant healing practitioner, I can help you access those patterns and shift them to a place that allows for and is in alignment with your desire(s). I would love to have you remain in my conscious awareness where you'll frequently receive the benefits of being a part of the field of unlimited potential! You can do that in a number of ways and I would be happy to have you, which ever way or ways you choose!